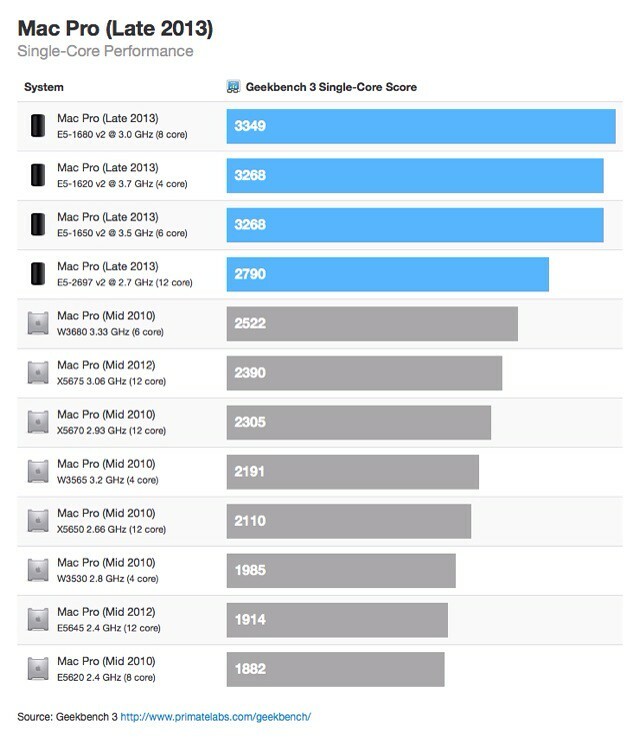 Primate Lab's John Poole has released estimated Geekbench scores for the upcoming four, six, eight, and twelve-core Mac Pro configurations. His estimates are based on leaked benchmarks and results from Windows workstations that use the same processors. Using the information on the Mac Pro specification page and the Intel ARK processor database, it's likely processors in the new Mac Pro are the Xeon E5-1620 (4-core), Xeon E5-1650 (6-core), Xeon E5-1680 (8-core), and the Xeon E5-2697 (12-core). Poole's benchmark estimates for each can be seen in the charts below. 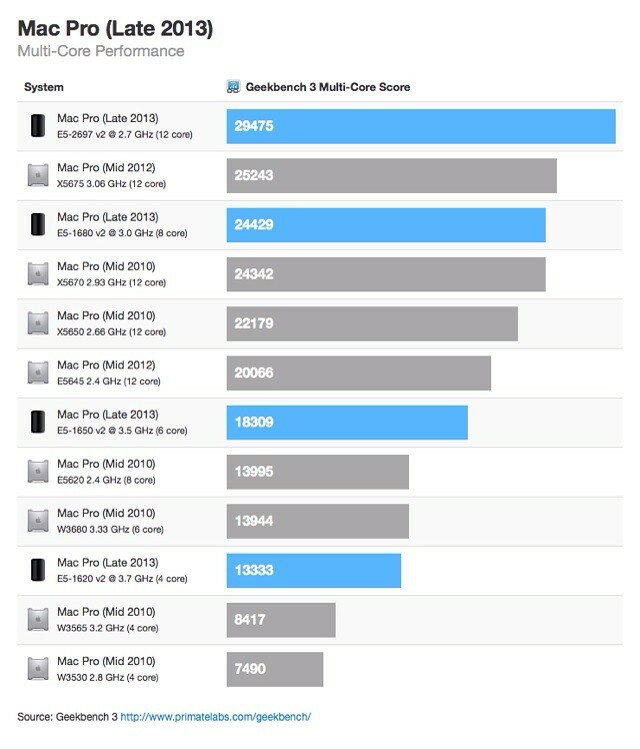 The upcoming Mac Pro will have significantly better single-core performance than the current Mac Pro. For example, the upcoming 4-core model will be between 50% and 75% faster, and the upcoming 12-core model between 16% and 32% faster, than the equivalent current models. Multi-core performance is also significantly better. The upcoming 4-core model will be between 58% and 78% faster than the current 4-core models, and the upcoming 12-core model will be between 17% and 47% faster than the current 12-core models. The 6-core and 8-core models are also quite speedy. The upcoming 6-core model will only be 10% slower than the current base 12-core model, and the 8-core model is faster than most of the current 12-core models.